my प्रिय पुस्तकें. . Wallpaper and background images in the किताबें पढ़ने के लिए club tagged: books. 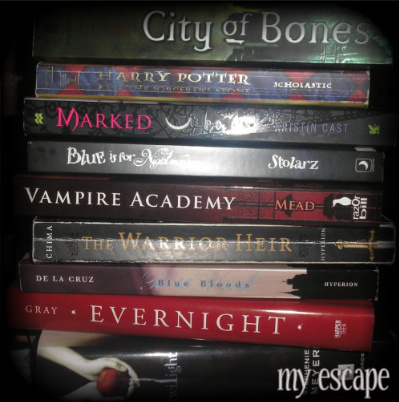 its funny (except for harry potter) after twilight i was so desperate to read something that i read the other books in this picture and i LOVE them alll!!!!!!!!!!! !